Race 3 in Fürstenau/Osnabruck will be the first OCR Series race in 2019. It is the official Mud themed race in a serie of 3. Make sure you have the right gear in order to get a grip on the slippery track. The race takes place at Fursten Forest, an old military training ground in Germany. The terrain is made up of lots forest, loos sand and tons of sticky mud. With 2 races already in the books, we’re curious who will win the first race of the new year! Last year, the top-3 male elites finished within 3 minutes of each other with Thibault Debusschere (BE) as the winner. It took him 1 hour and 38 minutes to reach the top of the Walhalla Steps (finish). Behind him, there was an exciting battle between #2 Gregorz Szcechla (PL) and #3 Tomas Tvrdik (CZ). At the females it was Lisan de Vries (NL) who took an early lead and finished the race a minute before #2 Corien Jansen (NL). The third place that day was also for the Czech Republic, with Petra Vesela on the podium. Be prepared for a hard and fast course during this years race 3, with all the elites waking up from their winter sleep and determined to win! Sign up with Season Pass! 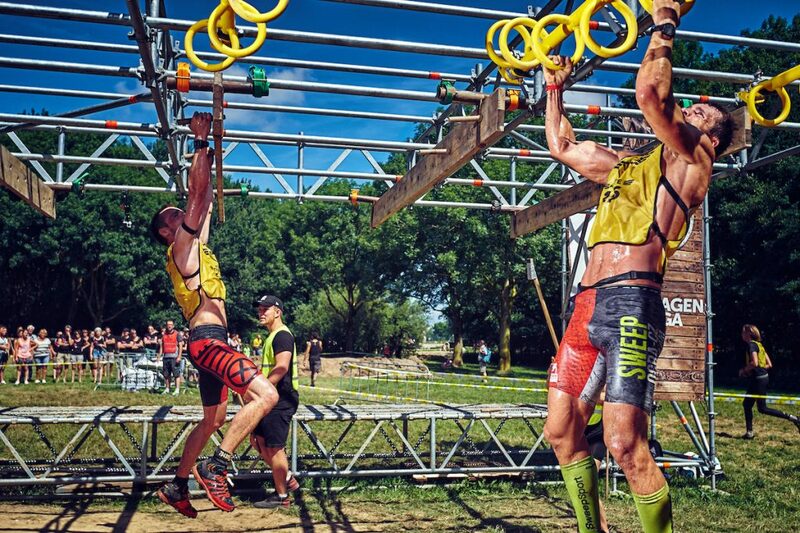 Race 4 will be the first OCR Series race of the season to be held in the Netherlands. Due to it’s flat landscape, it will again be a fast course and focus on having a high average speed. In spite of the flat terrain, you’ll be facing the famous ski-hill halfway through the course. Our tip, steady your tempo to reduce the change of cramps. Race 4 is another mud-themed run and the Berendonck is well known for its sticky Mud and deep trenches. It is also the location of the OCR Series World Finals in June, so it’s a great opportunity to size-up the area and test the course. Last years it were the Belgian athlethes who sweeped the podium in Nijmegen with a victory for Thibault Debusschere (BEL) in a time of 1 hour and 37 minutes. Just a minute behind Thibault it was Thomas Buyle (BEL) finishing second place at the sweep was completed with Jensen Blondeel (BE) finishing third male. This race, it were the females that made it into a thrillseeking race until the moment that Lisan de vries (NL) was warmed up after 17km ;). She increased her speed at the last 2 km and a strong finish on the last technical obstacles brought her to victory in 2 hours and 5 minutes. Corien Jansen who was constantly in a top 5 position finished just 3 minutes behind Lisan and took the 2nd place. Blue vest starter Janka Pepova (Slovakia) finished her first (Strong Viking) OCR Series race on the 3rd place in a time of 2 hours and 14 minutes, a big shout-out to her performance that race. Will the Belgian males again go for the sweep? Race 5 takes places at the same location as the very first race of the season 2018/2019; Provinciaal Domain Puyenbroeck in Ghent, Belgium. The big difference between this race and the one in September 2018 is the mud theme with different obstacles throughout the 19km course. Where the first race was a fast track with a lot of water, this race the focus will be on technique and training your grip for slippery and muddy obstacles. Prepare yourself focussing more on balance and upper-body strenght. In 2018, this race was a prey for Thomas Buyle (BEL) who had his first victory at the male elite in a time of 1 hour and 33 minutes. Thomas finally beated the World Finals Champion Thibault Debusschere (BE) who finished second place in 30 seconds. Number 3 on the male podium was Stefano Colombo (ITA) who finished after a strong performance in 1 hour and 36 minutes. Where the Belgian male athletes sweeped the podium in Nijmegen two weeks earlier, it were the Dutch females who gave a payback by sweeping the podium in Belgium last year. It was again Lisan de Vries (NL) who finished as first elite female and completed her hattrick by winning 3 OCR Series in a row! Only 1,5 minute behind her it was Lisan Corien Jansen (NL) finishing second place, The 3rd place was a prey for Sabine Spreen (NL) who completed the Dutch sweep on the stage. Who is capable of conquering these athletes this year? Race 6 will be the last OCR Series race in the Netherlands until the OCR World Finals in June. If you thought there were no hills in the Netherlands, you are wrong. Race 6 takes place during the Strong Viking Hills Edition in Spaarnwoude, near Amsterdam. Be ready for many uphill crawls, weight carries and last but not least, the Arctic Area! Conquer obstacles at the Snowplanet Skicentre with a tempature of -5?C (23?F). Crawl, jump and slide through the snow in order to secure your OCR Series World Finals spot! THE OCR SERIES MARATHON IS BACK! After the succes of last year, we decided to bring the toughest marathon race on earth back to Amsterdam in 2019. 42km, 100+ obstacles and supervision of OCR officials. The points awarded at the OCR Series Marathon will be updated from the standard ranking system to fit the marathon distance. These point will of course count for the OCR Series overall ranking. Therefor, on the 11 of May we’ll have 2 winners per gender, and 1.000 points will be awarded to each of them. The choice on your part is tactical, will you go for speed or endurance? Please note: Max 7.5hr! This year we will be back in the surroundings of Wächterbach near Frankfurt. The final race before the OCR Series World Finals. The sloping terrain is different than all our other race locations and the athletes will have to conquer more hills then they ever did before. Start in time with your hill training and maybe we’ll see you on the podium this race. It’s also your last chance to gain points for the final season ranking, who will be the no. 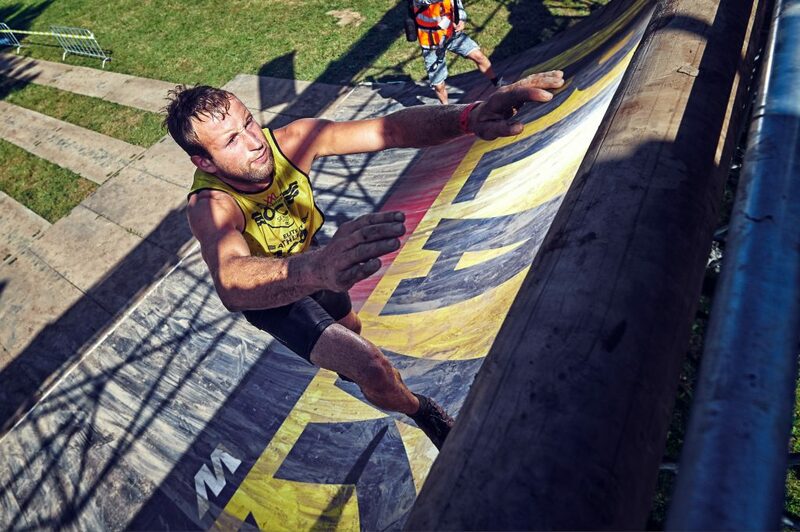 1 at the end and who will qualify for the OCR World Finals? Last race in Frankfurt was the 2nd race of season 2 in September 2018. Grzegorz Szczechla is too strong for this field and managed to get away from the 2nd place Tobias Lautwein. Halfway Tobias catches up together with Frank van Lieshout and all 3 athletes stayed close to eachother till the end. Grzegorz wins the race, Tobias and Frank came in 2nd and 3rd. Corien Jansen is the strongest female athlete and creates a huge gap in the beginning followed by Carina Bungard and Maud Dessouter. All 3 female athletes manage to secure their places early in the race and will finish in the same order. The day has arrived! After 7 OCR Series qualification races, it is now finally time to crown the OCR Series World Champions of the season 2018/2019! During the World Finals, only the top-3 (Male & Female) of every race and the top-200 male & top-100 female of the overall ranking will compete for the podium. During the exclusive World Finals there will be some World premiere OCR obstacles! Are you an ELITE runner (top 200/100), were you in the top-3 of an earlier race and/or did you qualiy at one of our external qualifiers? Then you can sign up for the ELITE wave and claim your spot in the OCR Series World Finals! The OCR World Finals in 2018 was held at the end of season 2 in the beautiful area of “De Berendonck” in Wijchen. For the first time in history we had the final event in the evening. The race started at 18.30 and from the beginning Thomas Buyle took the nr 1 position followed by Matthias Graute and Thibault Debusschere. Halfway during the race Thomas and Thibault were racing together followed by a large group of top athletes. Just before the final stage Matthias was back in the lead but lost a lot of places in the final stage. At the end Thibault managed to pull away from Thomas, did the salmon ladder in one go and finished less than one minute before Thomas, Lluis Barbe Llagostera managed to do well in the final stage and finished as 3rd male. Thibault was the winner of the finals for the 2nd time in a row. At the female side Zuzana Kocumová took 1st place and would stay there till the finish. Janka Pepová managed to be in the 2nd place followed by Corien Jansen. Halfway the race Janka and Corien fell back and Lisan de Vries took over the 2nd place. Corien, Janka and Carina Bungard were fighting for the 3rd position. At the final stage Zuzana, Lisan and Carina had big gaps up to 4 minutes and they all secured there position finishing in this order. Also Zuzana managed to be the winner for the 2nd time.